Wright Brothers Research Papers delve into the lives of two men who flew the first successful powered flight. The first successful, manned, powered flight at Kitty Hawk occurred on December 17, 1903. Orville Wright lay prone and to the left of the single engine that provided power for the craft. This engine was gas fueled; it had four cylinders, weighed 140 pounds, and had an output of 12 horsepower. It was connected by bicycle chains to two rear-mounted propellers. The flight lasted 12 seconds and covered 120 feet. A second flight later in the day had a duration of 59 seconds and covered 852 feet. These were humble beginnings and, as an author notes, did not attract a great deal of attention at the time. The first eyewitness account of the flight was not published until 1905 and it appeared in an obscure periodical, Gleanings in Bee Culture. The first publication of stature to acknowledge the Wrights’ achievement was the Scientific American which, in late 1906, confirmed that they had, in fact, achieved flight. The reason for the delayed recognition of what the Wrights accomplished in 1903 probably stems from both the fact that the press at the time treated attempts at powered flight as being more a subject for humor than anything else, and also the widely publicized fact that Samuel Langley, using similar technology (a five cylinder radial gas engine producing 53 horsepower and weighing 125 pounds—a better power plant than the Wright’s used), had failed twice in the Autumn of 1903 to get his creation aloft. But press skepticism and Langley’s two failures notwithstanding, the achievement of Orville and Wilbur Wright in achieving powered flight was a feat of historic proportions. With respect to powered aviation, the Wrights not only got there first; the way in which they did so and the way in which they worked to exploit their feat branded them as exceptional people, people who had a visionary understanding of the potential of flight and of the way in which to begin exploiting that potential. 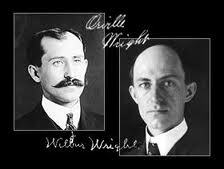 What made the Wrights truly outside and above their times was the systematic and scientific way in which they went about their work, the perseverance they showed (Langley, by contrast, abandoned his powered flight attempts after his first attempts, and the sure grasp they displayed of the financial, business, and military implications of powered flight. The Wrights were remarkably systematic both as inventors and businessmen and their careers can be seen as foreshadowing the careers of the fabled computer technology entrepreneurs of the seventies and eighties. Charles Lindbergh - Wright Brothers Research Papers delve into the lives of two men who flew the first successful powered flight. Harry Houdini - Harry Houdini Research Papers account for his life, and his career as a magician. Paper Masters writes custom research papers on Wright Brothers and delve into the lives of two men who flew the first successful powered flight.